AASHA JYOTHI WELFARE ASSOCIATION FOR THE DISABLED is located in MIRYALAGUDA Andhra Pradesh . AASHA JYOTHI WELFARE ASSOCIATION FOR THE DISABLED is registered as a Society Society at HYDERABAD HYDERABAD of state Andhra Pradesh Andhra Pradesh with Ngo unique registration ID 'AP/2014/0074147' . 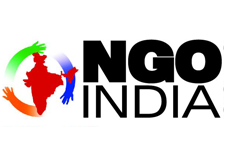 The NGO registration is done by Registrar of Societies Registrar of Societies with registration number 5874 OF 1997 5 of 2012 on the date of 18-11-1997 06-08-2002, Its parent ORganaisation is PaulFoundation. The Chairman of AASHA JYOTHI WELFARE ASSOCIATION FOR THE DISABLED is T SHEELA and Chief functionary officer is K MARY. Promoters are T MALLIKA, A VIJAYAMMA, CH SWARNA BABU,. Aasha Jyothi Welfare Association for the Disabled is a Non-Governmental and non-profit organiztion, has successfully completed 16 years of its functioning. The school provides the following services: Individualized as well as group training programs by specially qualified teachers. Early Intervention Services Home based and Center Based Training Parent Counselling and Guidance Music Therapy Speech Therapy Pre-Vocational and Vocational Training Day Care and Residential Facility Community Based Rehabilitation Programmes Psychological Assessments and Intervention Andhra Pradesh Open School Examinations DEPARTMENT OF SPECIAL EDUCATION The students in the school are grouped into different classes based on their chronological age and functional level. A detailed special educational assessment was done for each child using the Behavioural Assessment SCales. BASIC-MR (Behavioural Assessment Scales for Indian Children with Mental Retardation) - used for children below 18 years of age. BASAL-MR (Behavioural Assessment for Adult Living) for the Adult MR the Basic - MR and BASAL MR assesses the skilled behaviour in a student along with the problem behaviours. Counselling was providing to children and Parents : 1. Parents of children with Autism, Epilepsy, Down syndrome, Microcephaly, Hydrocephly and Hyperactivity and Multiple disabilities 2. Children with Mild Mental retardation having emotional problems 3. Children having sibling rivalry 4. Parents of children with hearing impairment 5. Parents encountering problems with adolescent children 6. Vocational Counselling 7. Marital Counselling 8. Referrals for Genetic Counselling The Organization is continuing to achieve its objective of rehabilitating the children with disability. It has moved into the new campus in the village, with better facilities for the children. We are fortunate to upgrade our techniques and department to enable the children get better rehabilitation services.